Remember the year 2000, when measels was almost gone? 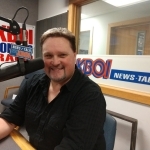 We’ve been talking about the Medical Emergency declared in Western Washington due to an outbreak of the measles this week on KBOI. At last check, there were 38 confirmed cases and 12 other children who are suspected to have the disease. The outbreak has now spread to 3 other states also…Hawaii, Georgia and Oregon. It’s unfortunate that a disease that was virtually wiped out in the US has made a comeback over the past few years due to the Anti Vaxing movement…you know people who believe that the vaccine doesn’t protect against measles and that it actually does more harm than good. That was an easy answer for me, because I have two grandchildren who aren’t protected because they are 4 months old and 3 years old. My granddaughter is too young to be vaccinated. Vaccinations take place at about 1 year old. My grandson is 3 and he’s had his first shots, but the next vaccination doesn’t take place till he’s 5. Once each of them have had both vaccinations, they will be 97% protected against the measles virus. Measles are extremely contagious. It’s able to be transmitted through the air and it’s able to survive for up to 3 hours on clothing, toys or other objects. Plus you could be infectious and not even be aware. My son and daughter in law live at ground zero, where the virus first started showing up in Vancouver, Washington. There are three places within 2 miles of where they live that children known to have the measles have visited.. So now they have basically quarantined themselves in their home in an attempt to protect their kids…no basketball practice, no play dates, no visits to the playground etc. ….and the frustrating part is this is so avoidable….the measles vaccination is 97% effective in protecting children against the measles. The Portland area is one of the big anti-vaxing spots in the US, so is it really any surprise that they’re now dealing with a medical emergency? According to the CDC, In 1971 before the Measles vaccination was available, 75,290 people in the US got the measles with 90 deaths reported. Last year, due to vaccinations, that rate, although on the rise due to the anti-vaxing movement was still at only 349 confirmed cases and no reported deaths. ……Just between us, this kid is not your favorite, right? How did the whole anti-vaxing movement get started? The debate began in 1998 when British researchers published a paper stating that the MMR vaccine caused autism. That study looked at only 12 children, but it received a lot of publicity. A later investigation into the 1998 study uncovered a number of problems with how it was conducted. The journal that published the study has since retracted it, saying they no longer stands by the results. In other words, it’s been debunked. So please, do me, my family and everybody else who have loved ones who aren’t old enough to get vaccinated a favor. Please get your kids vaccinated and let’s get back to 2000 when measles was basically eradicated in the US.